The Witch's Island: My Secret Santa Has Really Come Through! My Secret Santa parcel has arrived! Christmas had come and gone and there had been no parcel in the mail and I was wondering if maybe there wouldn’t be one but, lo and behold, there it was in this morning’s post! Hubby picked it up before work today and then phoned me to say that it was here. I spent all day wondering what it could be, just like a little kid. When he finally got home this afternoon I tore right into it and it was full of wonderful things! 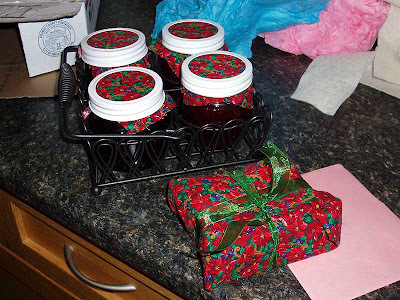 There were four jars of home-made preserves in a table-top caddy, fours small books and a nice card. Wow, Secret Santa, thank you so much! Pulling the contents from my Secret Santa parcel. 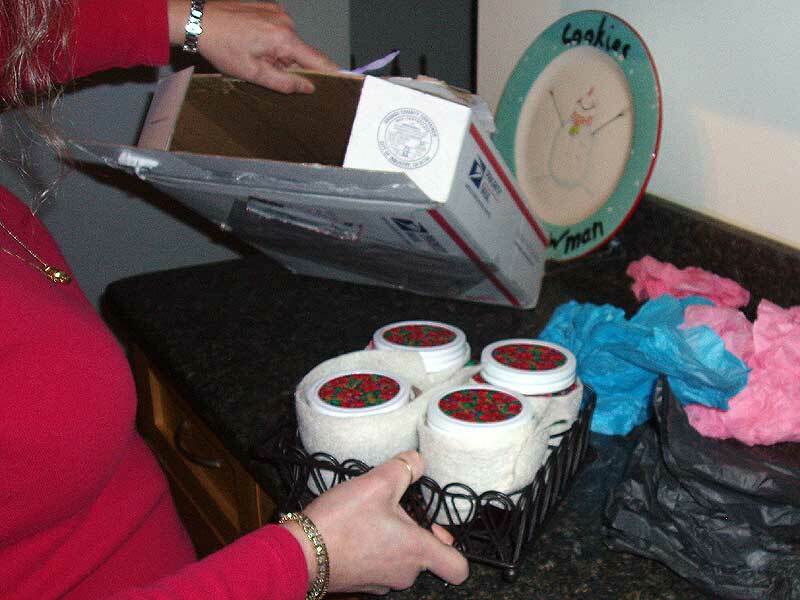 Everything was nicely wrapped and looked beautiful. My Secret Santa gifts, homemade jams in a pretty metal caddy and four little books. 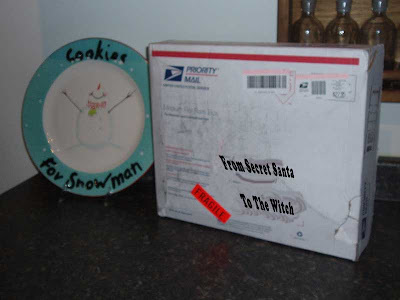 While I can’t be 100% sure who my Secret Santa really is I think that I know and she is a fellow blogger. You can find her at this link and if that isn’t her then that blog is an interesting read anyway. Beautiful gifts! I didn't realize the Secret Santa stayed secret. I kinda like that idea, a puzzle you'll never really know the answer to. Oh you lucky thing, you. Those gifts look wonderful. Aren't you fortunate to have such a generous friend! Verrrrrry nice! I just finished my PEI preserves today and wish I had more! ENJOY! 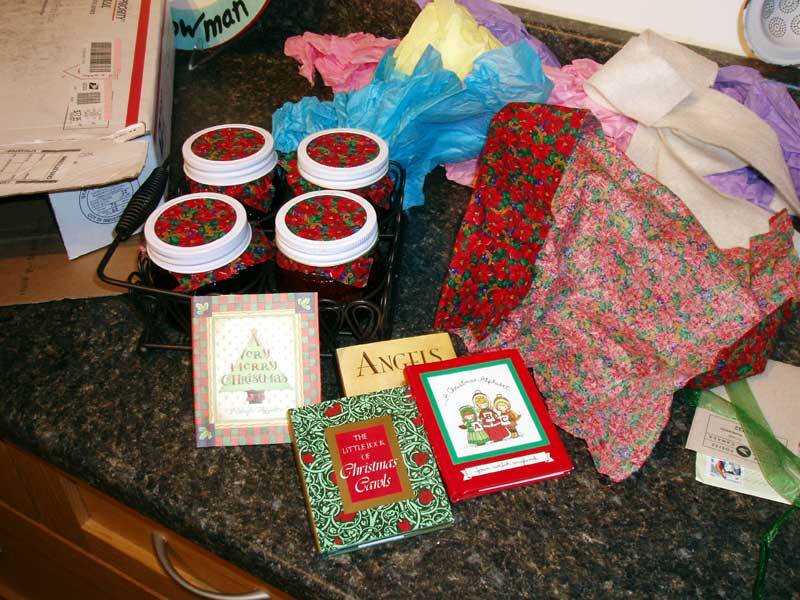 What lovely things your secret santa sent you!